To many people in the boat business this term is often an oxymoron, but at Bluenose Yacht Sales we are committed to providing service as a means of competitive differentiation. Whether you are looking for a seasonal maintenance program, total refit, or commissioning a new boat to your exact requirements, the BYS team has the experience and facilities to meet all of your needs. Our service facility is run by David Resare, one of the best service providers in this region. David has decades of experience in managing, delivering and standing behind our commitment to excellence and customer satisfaction. 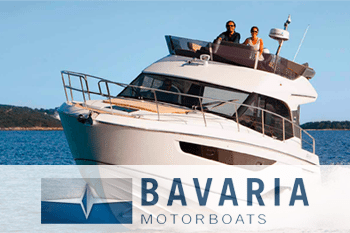 Regardless of your type of boat or your requirements, Dave and his crew have the mechanical, electrical, rigging and technical systems skills to get the job done right. 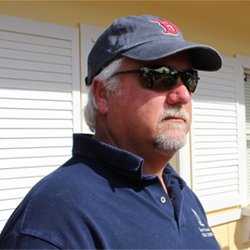 Dave will meet you at your boat for a detailed analysis and schedule your boat for timely service Or stop in our Portsmouth office to meet Dave directly. Over 50' or 7- foot draft will be at T&M. Please note that, in an effort to comply with more stringent environmental requirements, we will use either Pettit Hydrocoat or Eco as out default paint unless another product is specifically requested. These products are compatible with most existing paints and we strongly recommend their use over higher VOC products. Over 50' or 7- foot draft will be time and materials. Please note that boats with "planking" finish will be at T&M. Full service of all types of gas and diesel engines. I have been sailing the East Coast, Europe, and the Caribbean for the many decades. My experience started on Sunfish, off the beach in Rhode Island and graduated to 12 Meter’s in the mid 90’s. After refitting “FREEDOM” and racing in Cowes, England for the America’s Cup Jubilee in 2001, I moved to private charter boats and spent time learning systems and customer service.